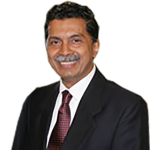 Ambassador M. Humayun Kabir is BGA’s senior advisor and leads the company’s business in Bangladesh. Humayun is a highly regarded diplomat and strategic thinker and has top line networks throughout the government, business, civil society and the media. He leads the development of client strategies and direct implementation principally in Bangladesh. In addition to his work with BGA, Humayun also provides leadership for the Bangladesh Enterprise Institute (BEI), the country’s most influential think tank dedicated to promoting private sector development. Humayun retired from government service as the permanent secretary in the Ministry of Foreign Affairs. His last foreign assignment was Bangladesh ambassador to the United States. He previously served as Bangladesh ambassador to Nepal and high commissioner to Australia and New Zealand. Earlier, he served as deputy high commissioner in Kolkata, India, and at the Permanent Mission of Bangladesh to the United Nations in New York. Before joining the diplomatic service, Humayun taught political science and law at the University of Dhaka. Humayun is currently leading important policy discussions in his research areas including accountability in governance, public policy, foreign policy, negotiations skills, South Asian affairs, energy and professional development. He regularly delivers lectures on global issues, including diplomacy, global governance, branding and competitiveness at various universities, trade bodies and public and private training institutions in Bangladesh. He has several publications to his credit and regularly writes in various national newspapers. He is also a regular commentator to media outlets in Bangladesh and abroad on contemporary issues.